Whether you have moved to Alberta from another province, have bought a new car, or even just obtained your license, you will be unable to drive before you insure your vehicle; driving without car insurance in Alberta is against the law and can result in a serious fine. 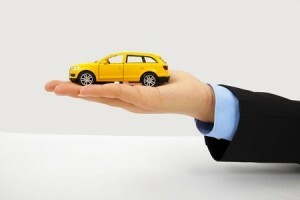 The following tips will help you choose and purchase the right car insurance in Alberta that fits your exact needs. To drive a private passenger vehicle in Alberta, you must hold insurance with $200,000 third party liability coverage. This will cover you in the case of a legal claim if you are responsible for an accident that results in injury or damage to a third party. Car insurance in Alberta must also include accidents benefits coverage to cover occupants in your vehicle in the case of injury. This coverage includes medical and rehabilitation costs, income replacement, death benefits, and funeral expenses. Other coverage, including collision coverage, specified perils, comprehensive coverage, and endorsements, is entirely optional. The bill of sale, lease agreement, or registration for your vehicle. The driver’s license for all drivers of the vehicle. Newly licensed drivers and those who have taken drivers training will also need to present their driving certificates. The dates of birth of all the drivers. You may also need a passing vehicle inspection report, issued within the last 14 days, if your car is 12 years or older. Out-of-province drivers: if you received your license outside Alberta, you will need to provide a claims experience letter and drivers abstract from an out-of-province jurisdiction. In addition, if you previously registered the car outside Alberta, you will need to present an out-of-province inspection issued by a qualified auto inspection shop. Throughout Alberta, insurance is issued by private insurance companies through a private delivery system. You can choose to make a purchase with an agent, broker, or direct writer. Although price should be a consideration for your choice, it should not be the only thing that sways your decision. Possibly the most important factor is that a company can offer you a standard automobile policy along with any optional coverage that you wish to add. In addition, you should seek a company with good customer service and an efficient claims service. Ask your friends and family for suggestions as well as read online reviews of companies. If you are looking to save time and money by opening more than one policy with the same insurance company, such as both home and car insurance in Alberta, find a company that offers more than just auto insurance. Similarly, if you have more than one vehicle to insure, seek out a company that offers discounts for clients who insure several cars. Lastly, find a company that offers payment plan options and payment methods that suit your needs.